Mother Teresa Day is a public and national holiday in Albania. It is celebrated on September 5 each year to commemorate Mother Teresa’s death anniversary, as well as her canonization by Pope Francis in 2016. Anjezë Gonxhe Bojaxhiu was born on August 26, 1910 in Skopje, Macedonia. Her family moved to Albania in 1934, but before that Anjezë had moved to Ireland to join the order of the Sisters of Loreto. There she adopted a new name, Teresa. 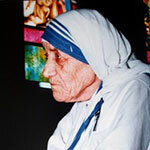 The order sent Teresa to Calcutta, where she taught in a women’s school and helped poor people. She created a congregation that helped all poor and sick people regardless of their religion and nationality. The activity of the congregation spread out of the boundaries of Calcutta and India in 1965. Nowadays the congregation is active in over 100 countries around the world, mostly in the economically unstable regions and in the natural disaster zones. In 1979, Mother Teresa was awarded the Nobel Peace Prize. She died in Calcutta on September 5, 1997 at the age of 87. She was beatified on October 19, 2003 and then canonized on September 4, 2016. Mother Teresa Day in Albania is celebrated on the anniversary of her death, which is also her feast day.